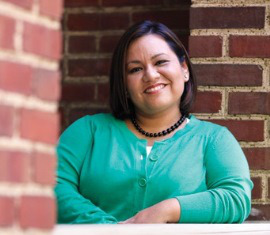 Dr. Stella Flores is the study’s lead author and an associate professor of public policy and higher education at Vanderbilt University. A new study challenges the notion that Black and Latino students are less likely to earn a college degree if they attend minority-serving institutions, such as historically Black universities or Hispanic-serving universities. The study, “The Effect of Enrolling in a Minority-Serving Institution for Black and Hispanic Students in Texas,” reports that Black and Latino students who enroll at minority-serving institutions (MSIs) are equally as likely to complete college as Black and Latino students who attend other colleges and universities. The study, which focuses on three cohorts of college enrollees from 1997 to 2008, was published in the Research in Higher Education journal in late July. Dr. Stella Flores, the study’s lead author and an associate professor of public policy and higher education at Vanderbilt University, said that conventional graduation statistics show that college completion of Black students at historically Black colleges and universities (HBCUs) falls about 7 percent below non-MSIs, and Latino student graduation rates lag by roughly 11 percent at Hispanic-serving institutions (HSIs) when compared to Latino completion at non-MSIs. Relying on student data from the comprehensive Texas Public Education Information Management System database, the new study compares students who have similar levels of preparation and other similarities in background at MSIs and traditional schools. Flores noted that the comparison of matched students showed there was no difference in the likelihood of graduating whether they were enrolled in a minority-serving institution or a traditional school. In addition, the study found that HBCUs and HSIs typically have a student body that is less academically prepared than non-MSIs and that the MSI students tend to receive less financial aid. “We tried to equalize the comparison groups at the onset, [meaning] before they enrolled in college….and then we controlled for institutional resources,” Flores said. “And when we tracked the students and ran our analysis, we found that there were no differences in graduation rates” between students who attended MSIs and those who had not. Flores explained the research originated from the concern that MSIs have been criticized for having lower graduation rates than non-MSIs. In “a lot of [research and policy] presentations of completion rates for MSIs vs. non-MSIs, especially HBCUs vs. non-HBCUs, you see big gaps in college completion,” she said. “And so, [MSIs] have started to get a bad rap” rather than being considered “viable and crucial contenders for increasing the rate of degree completion in America,” Flores said. “Given the growing demographic student diversity in Texas and the nation, attention should be given to how well these schools are performing in the face of significant challenges. Not doing so may lead to enormous consequences to the health of the state and national workforce,” she explained. Park believes MSI leaders in Texas should be able to use the new study to reinforce the message that MSIs are successfully doing more with less resources than predominantly White institutions are doing to educate Blacks and Latinos. If MSI leaders can say they’re “able to do this at a lower funding level,” consider “what [they] might be able to do if [they] received funding that’s on par with predominantly White institutions,” he said. Dr. Marybeth Gasman, a professor of higher education at the University of Pennsylvania Graduate and a leading authority on HBCUs, commended the Vanderbilt study for its unique methodology and convincing analysis. “This is excellent work because it provides [quantitative] evidence for Hispanic-serving institutions and HBCUs when people start to critique them,” she said. “And what Stella and Toby found out is that these HBCUs and HSIs are doing it for less money so they’re more efficient. For state policymakers and people at the federal level, they should look at that and say perhaps HSIs and HBCUs are a good investment,” she said.